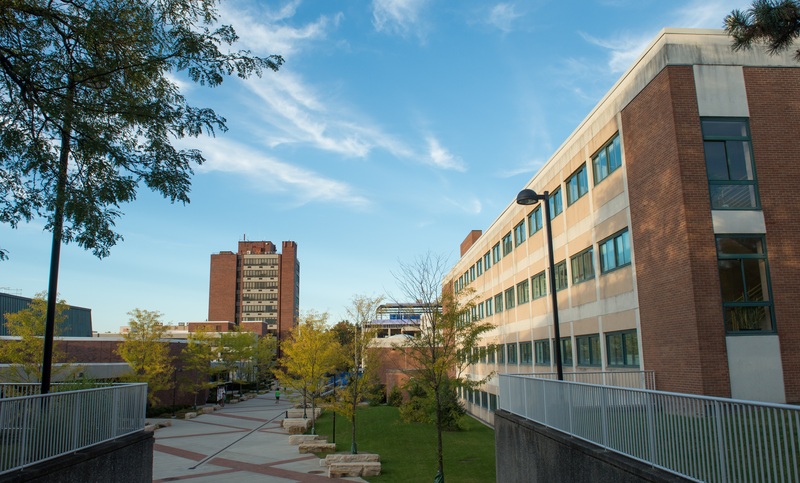 Continuing a pattern of partnering with New York State-certified minority-owned business enterprises (MBEs) and women-owned business enterprises (WBEs), SUNY New Paltz raised its overall percentage of M/WBE purchasing from 54 percent to 67 percent in state fiscal year 2015-2016. The College’s Purchasing Department has teamed with units across campus in search of opportunities to work with M/WBEs in areas of significant expenditure, including Information Technology, Instructional Media Services and Telecommunications, as well as on major one-time purchases such as the furnishing of Wooster Hall. Additionally, about one third of M/WBE utilization came from construction services contracts administrated through Facilities Management by Elissa Greene. The State University of New York responded by implementing a policy of steadily raising its goals for college and university purchasing from MBEs and WBEs, and incorporating best practices in finding and contracting with M/WBEs in a variety of industries. The 67 percent rate of M/WBE utilization placed New Paltz second among all SUNY institutions in this metric, behind only SUNY Albany (71 percent). More information about SUNY’s MWBE Program is available online.